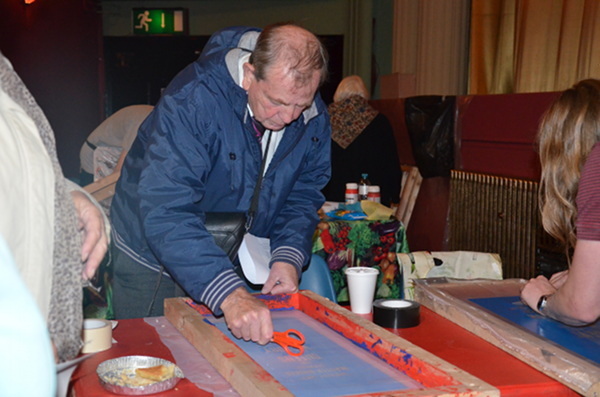 A special event was held at the Plaza Community Cinema on 3rd October 2012 to celebrate the launch of The Going to the Picture Project. The event was a day to reminisce, take a nostalgic look at our local cinema heritage and to share memories of Going to the Pictures. 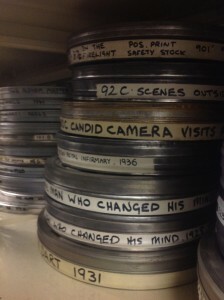 ‘Romance at the Odeon’ – A 1937 Film giving a short overview of the Odeon Cinema Chain. ‘Do you want Sunday Cinema and Games?’ A 1941 film made to support The Stockport Express wartime campaign to allow cinemas to open on a Sunday. ‘Candid Camera visits ABC Preston’ This was a 1959 publicity film presented by actor Richard Todd to promote ABC cinemas. The trailer for the Going to the Pictures memories film was shown to generate converastion between guests and encorage more people to share their cinema memories. 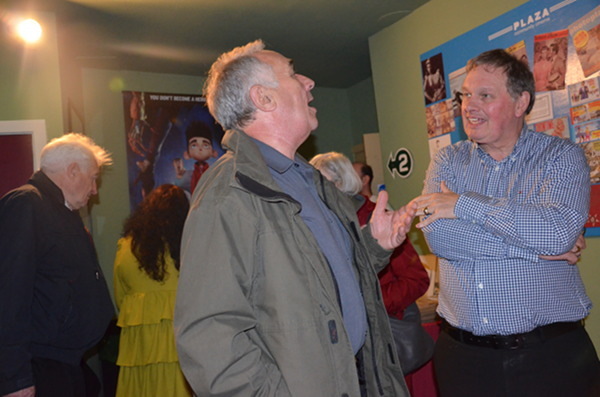 Displays of old cinema photographs and cinema memorabilia tables were on view for guests to learn more about our local cinema heritage and help to trigger memories of Going to the Pictures. 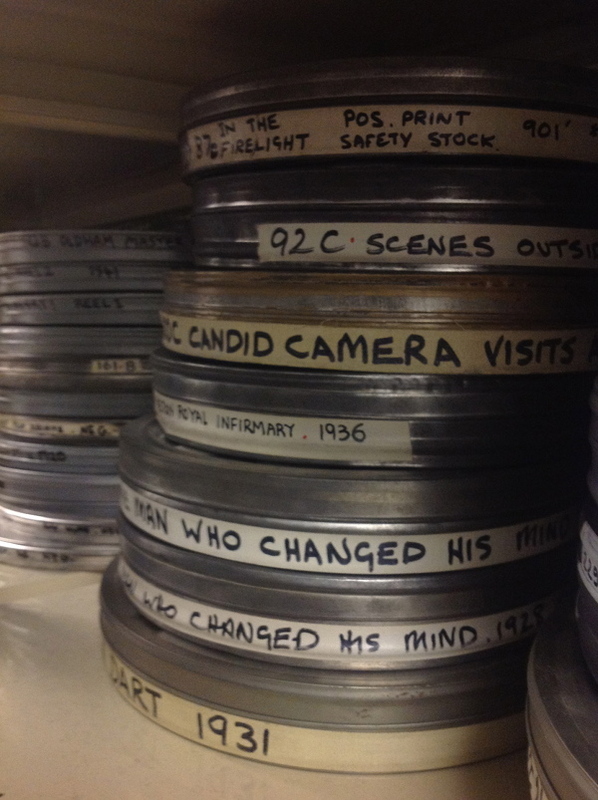 A Film Poster Memory Workshop was hosted during the event by artists Sam Meech and Will Daw. The poster workshop was an opportunity for guests at the event to write down a cinema memory and have it turned into an old style film poster using screen printing techniques. The photograph below shows one of the guests turning his memory into a poster. Students from Crosby High School worked as part of the event team to help the day run smoothly. They worked as Meeters & Greeters, Usherettes and Memory Catcher’s. 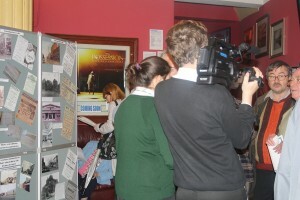 They also took many photographs and carried out some filming to document the event and capture cinema going memories. The day was rounded off with some special screenings of some of the old serials which used to be shown at the children’s cinema matinees. 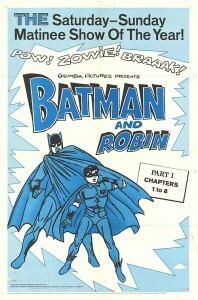 We showed Batman from 1949. And also a trailer for The Phantom Empire which was made in the 1930′s and starred the singing cowboy Gene Autry battling against cowboy hat wearing robots! The serials were very popular and had the audience booing the baddies and cheering the goodies.